From classic demographic theory to the best contemporary thinking, this book will fruitfully replace previous ways of looking at population expansion and contraction. 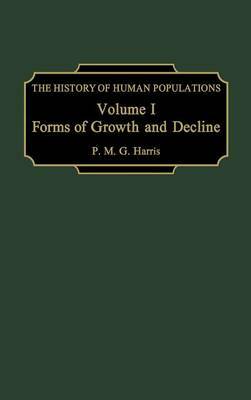 The 50 years of scholarship that covers 2 1/2 millennia, peoples in all parts of the world, and aggregates from hamlets to the global level, this volume shows that populations grow or decline according to six related patterns. Looking at the path taken by unrestricted population growth, the effects of limited resources, demographic disaster, population explosion, and the implications of stable population theory and demographic transition for numerical trends, Harris reinterprets and insightfully interconnects all of these via six related growth curves, opening the way for a better understanding of how populations expand through changes in births, deaths, and migrations and how they interact with their economic, social, and physical environments. All six trend types, the book shows, are shaped by forces internal to the dynamics of populations themselves. Most frequently, they increase in a constantly proportionally slowing curve as a specific stimulus is spent through expansion. With shocks like war or epidemics, they contract according to an upside down version of this curve. The only two curves until recent times, these are still the most common in local populations. With modern economic and social change, some populations--mostly larger ones--follow one of four newer growth patterns, either increasing at a steady rate, growing in a gradually slowing pattern between this constancy and the rapidly decelerating basic growth curve, exploding in an accelerating fashion, or in a few ominous cases, decreasing in an accelerating decline. Where these curves occur depends on the distinctive ways populations interact with economic changes. Harris's findings have profound implications for understanding economic and social change. These implications will be discussed in the following volume.